Thirteen hours a week. That’s the minimum amount of training time needed to prepare for an ironman triathlon. I learned that during my interview with the Lean Green DAD, Cory Warren. Cory was training for triathlons when he discovered that a plant based diet helped him recover faster and helped his wife manage her auto-immune disease. Since that point, he and his family have been advocates for the plant based lifestyle. Whether it be in his blog, YouTube videos, or on his podcast, Cory promotes the benefits of incorporating more plants into your diet. During our interview, Cory and I discussed supplements that are necessary on a vegan diet, how to motivate your kids to eat more veggies and an app he’s developing that will change the way you shop for groceries. Cory is dedicated to helping people and I feel privileged to have him on the Addicted to Fitness podcast. In addition to our interview with the Lean Green DAD, Shannon and I discuss a pair of upcoming ETT events on this week’s episode. First on November 12th, ETT member Carmin will be competing in the main event of the Mike Calta Punchout. Even though this event is more entertainment than sport, Carmin has been training like a real fighter, which is why I believe her fight will easily be the fight of the night. 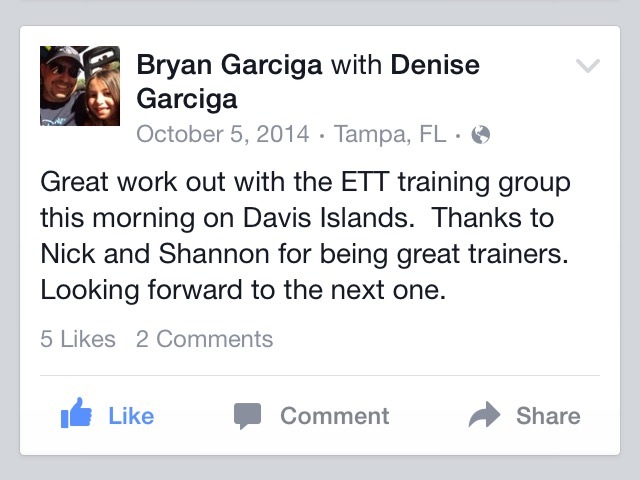 The next ETT event Shannon and I discuss this week is the next ETT group workout on the 19th of November. Once again, if you live in the Tampa Bay Area, come join us for this free workout. 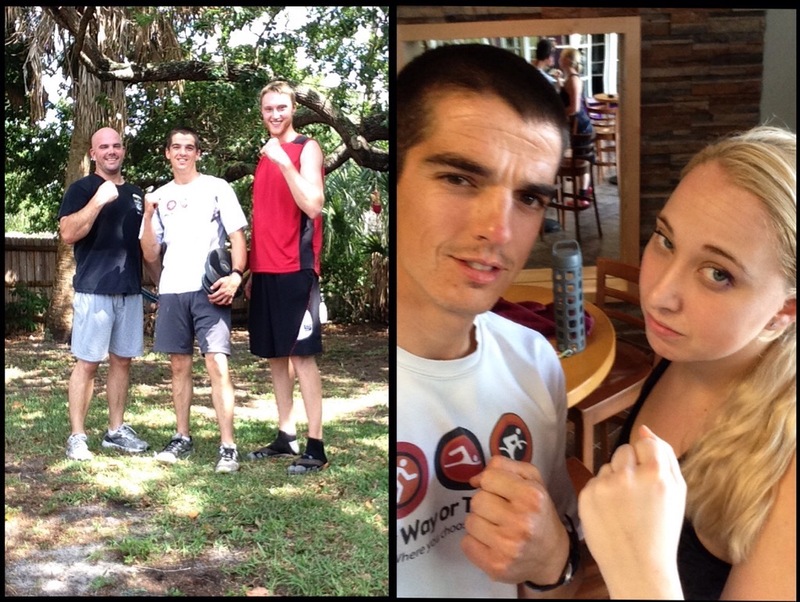 All workout participants receive a 15% discount at one of Tampa’s best coffee shops, Spaddy’s Coffee. Earlier this week, I noticed that we had surpassed the 2000 download mark. I never thought anyone would even listen to this podcast, let alone it be downloaded over 2000 times! Thanks so much for your continued support. You all keep listening and we’ll keep putting out fun and engaging health & fitness news on a weekly basis. If you haven’t done so already, please rate, review and share the podcast. Thanks for the continued support and stay healthy this week peeps! Shannon returns once again to help steer the podcast ship. On this week’s show, Shannon and I talk about a glowing review from an ETT client, the recent group workout on The Tampa Riverwalk and how podcast listeners like their eggs. We also discuss our date night courtesy of the UFC and The Mike Calta Show. Love it or hate it, let us know what you think about this, or any episode of the ETT Wrap Show. Some of you may have noticed that July came and went without any mention of an ETT group training session. The recent wet weather in the Tampa Bay Area essentially eliminated any opportunities for us to hold our monthly group training. This is the first time in almost a year that we have not gotten together to train, but you can still get your ETT fix with the first edition of the ETT WORKOUT of the Week! Instead of the single ETT exercise videos you are use to, this video provides an entire workout complete with detailed instructions on striking stance and several different striking techniques. The video also demonstrates each exercise with modifications and tips to ensure you perform each exercise safely and properly. Please remember to warm-up before starting the workout and modify the exercises to match your fitness level. We would love to make these workout videos a regular thing, which means we need your feedback to help us improve the quality of future workout videos. ‘Nuff talk, now get out there and HIT IT!! Personal trainers are a luxury that not everyone can take advantage of. Whether it be an issue of time, money or existing commitments, some individuals cannot justify investing in a personal trainer. That is why I wanted to make sure that a portion of the fitness resources offered by ETT can be accessed by anyone, at anytime, for free. One of the free services offered by ETT is the monthly group training sessions. We started offering these workouts in October of last year and they’ve been going strong ever since. Services like these help people realize that being fit is not some daunting task that cost a lot of money to achieve. I know some personal trainers may think I’m foolish for offering services for free, but when I read comments like the one below, it demonstrates to me that these services can be the spark plug people need for a healthier more active lifestyle. As rewarding as offering free fitness services may be, I encourage ETT community members and non-members who want to bump up the intensity of their training or have specific fitness goals to invest in ETT’s 1-on-1 personal training. 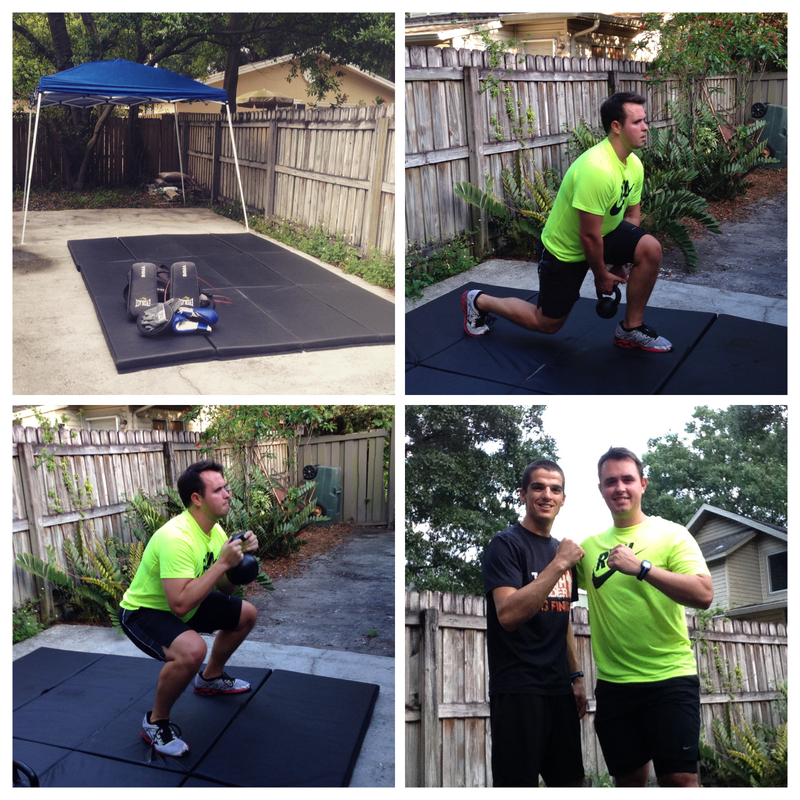 If you are interested in personal training with ETT, but need more insight into our training system, you can email me at elementaltampa@gmail.com OR you can attend the next ETT group training session this Sunday, June 29th near Downtown Tampa. Check out the event page on Facebook for more details.